Detailed on a recent Kickstarter campaign page, FitBark is a small device that attaches to a dog’s collar and tracks daily activity levels. 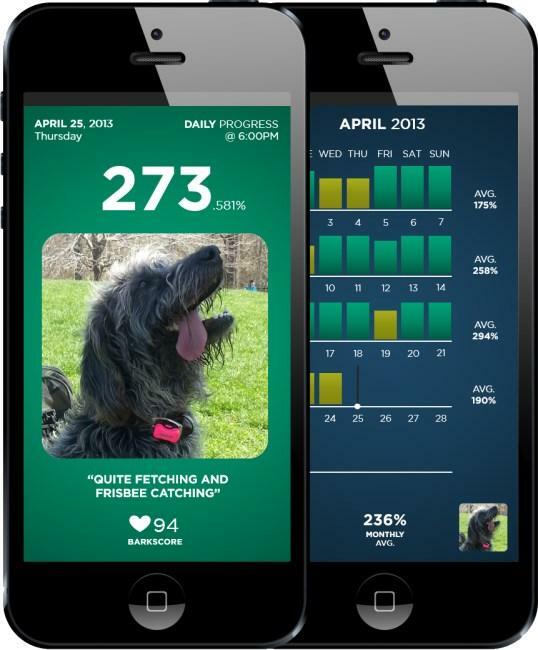 Somewhat similar to a Fitbit or Jawbone Up, the FitBark helps the dog’s owner understand how much exercise is recommended for their pet each day. For instance, a quick look at the current activity percentage level on the accompanying mobile application can tell the dog owner if Fido has been laying around the house all day or not. If a dog has spent the day relaxing, the owner will know to give their pet a longer walk after returning home from work in order to fulfill exercise goals for the day. In order to get started, the owner attached the plastic FitBark to the collar of their dog and pairs the device with their smartphone over Bluetooth. The FitBark can also be paired with additional smartphones, thus allowing multiple people within a household to upload data to FitBark’s Web server when in range of the device. This data is immediately available in real time and can be viewed within the smartphone application. This could be ideal to keep track of a neighborhood dog walker that’s been hired by a family. Family members will be able to immediately see when their dog was walked based off the change in activity rate in addition to the intensity of that walk. It could also be used by doggy daycare providers, basically giving owners the ability to check in on their pets from time to time during the day. Along with the small FitBark device, users can also purchase the FitBark home base. 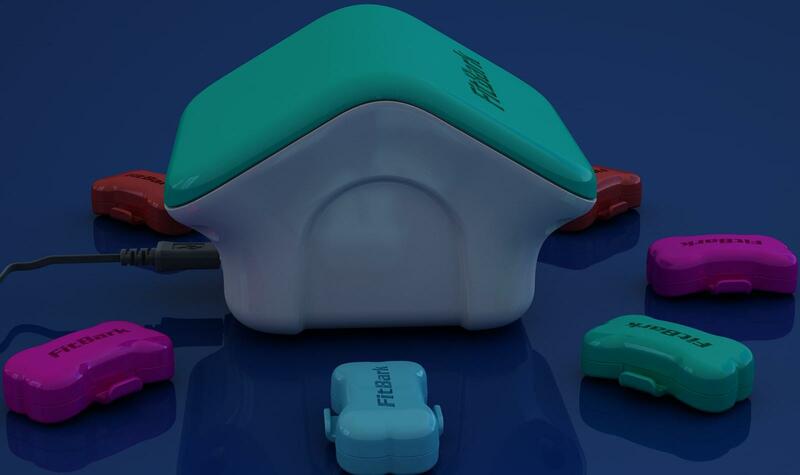 Designed in a plastic casing that looks like a doghouse, the Fitbark communicates with the home base in order to relay data similar to any paired smartphone. The home base can be charged over USB, thus the device can be plugged into a standard wall outlet or a computer. The owner also has to configure the home base to connect to the home’s wireless network in order to relay FitBark data. The tech inside the FitBark includes a 3-axis accelerometer, memory that can hold up to three weeks of activity data and a rechargeable battery that lasts up to ten days. Regarding app compatibility, the FitBark works with the iPhone 5, iPhone 4S, iPad 3, iPad Mini and iPod Touch (5th generation). The team is currently working on an Android application, but it won’t be available to FitBark owners until later this year. Among the large variety of contribution levels, backers can choose to simply purchase the Fitbark device for $99 if they only want to pair it with their Apple devices. If a backer wants a home base with their Fitbark, that will cost $169. There are also a couple options for families with multiple dogs. Assuming the Kickstarter campaign is fully funded within the next four weeks, the first batch of FitBark devices will head out to backers during September 2013. As with all Kickstarter campaigns, backers should be aware that manufacturing delays could push back the launch window of the FitBark.